1800 President Bush and Laura Bush: Congressional Picnic. South Lawn. 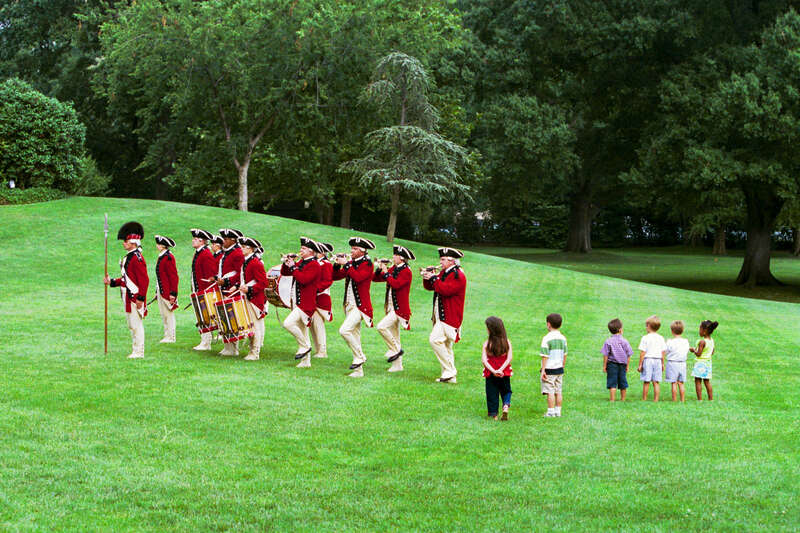 Children watch the Old Guard Fife and Drum Corps. (Barbecue).